Bob Marley copyright claim against UMG dismissed – but digital royalty claim left open. COPYRIGHT Music publishing, internet German collecting society GEMA have failed to get an injunction to force YouTube to take down videos containing one of 75 songs – the German songwriters and publishers collection society has been in dispute with YouTube over royalty rates for over a year now. After ongoing licensing talks between the collecting society and video site broke down in May, GEMA asked the German courts to issue an injunction to force the Google-owned site to remove any videos containing one of 75 songs owned by publishers represented by the collecting society. The society argued an injunction was needed now, pending other legal action, on urgency grounds because, given there is currently no licensing agreement between YouTube and GEMA, the writers of the 75 songs in question are losing money every time one of their videos is played. 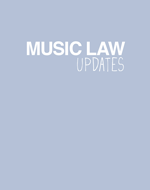 But, according to Billboard, the Regional Court of Hamburg, whilzt not passing judgment on GEMA’s wider copyright claim, said it was not convinced by the urgency argument so would not issue any interim injunctions. GEMA can, of course, proceed with other legal action against YouTube, but the 75 songs may continue to be accessed via the video site at present….